The Mothering Heart is about an innocent, wholesome wife, with simple goals. On the surface it is a morality play, detailing first her suffering at the hands of her straying husband, then with the consequences of that betrayal. But this is really a front. Buried within The Mothering Heart’s simple structure is a set of profound and tragic human moments. D.W. Griffith's The Mothering Heart opens with the young woman (Lillian Gish) tending to rose bushes in her mother’s garden and playing with a pair of puppies. Her idyll is interrupted by a handsome but awkward young man (Walter Miller), who has come to propose. She declines, and the young man hangs his head. Seeing this, Gish’s demeanour—even her posture—inverts; she puts a comforting hand on his shoulder and changes her mind. Who is this person, who reverses herself so quickly on so crucial a matter? Griffith seems uninterested in the specifics. He never names Gish’s character, or anyone else’s. We know nothing of the young woman’s life before her marriage proposal, except for what we can intuit from one intertitle: “Against her better judgement she listens to her young lover.” Gish’s character says nothing for herself. The young woman’s huge gap in judgement is matched by several gaps in the narrative. Following the proposal Griffith cuts almost violently to a scene well into the couple’s married life—possibly years later; we have no way of measuring time. Gish now appears as a hardworking wife in a modest home, taking in laundry and ironing for extra money. Her husband clearly isn’t very successful at his job, whatever it is (we’ll never know that, either). He arrives, defeated by his long day. We sense he is the type to let the weight of circumstances hold him down. Griffith leaves him to mope in the living room, finding Gish in the kitchen. She's exhausted. We see her force a smile, for his sake. The next intertitle reads: “The husband meets with prosperity.” When? The house looks the same. Perhaps the wife hasn’t heard about it yet either. Gish is alone as the scene opens, puttering around in the dining room. She picks up a long, white infant’s gown and cradles it as though it were an actual baby. “Mother Love” an intertitle explains. Gish’s miming here is tender enough, but the effect is off-putting. It's too mothering of what is, clearly, a stand-in for a baby. It’s becoming clear that this woman can very easily turn nothing into something, at least in her own head. We wonder how far into delusion she could slip. The husband arrives, jubilant. Now that he’s doing well, he gains no comfort from the homely joys of the hearth, so it’s off to the nightclub for them. The wife is out of place there; she’s dressed simply, and the crowd is rich, and she cannot drink, due to her pregnancy. She probably wouldn’t drink anyway. The husband drinks. And over Gish’s shoulder he spies an Idle Woman (so says the intertitle), wearing a low-cut dress and eyeing him right back. Another harsh cut turns the wine glasses to coffee cups. The flirtation goes on. And for the first time (maybe in her life), the wife catches on. She storms out of the club with her man in pursuit, promising her it was nothing. Well, of course it was something. He begins an affair with the Idle Woman (Viola Barry); a tryst so blatant that she picks him up in plain view of the couple’s front door. How does the wife find out? In a remarkable scene, taking place shortly after her husband has returned from one of his dates. She has accepted whatever lie he told her and takes his coat. He exits the room. Left again, she takes the coat and cradles it as she did the baby gown, then stops. From the pocket of the coat she pulls the Idle Woman’s long, white scarf. I’ve never forgotten what follows. 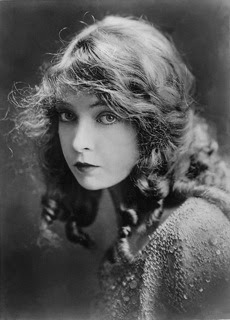 Lillian Gish travels to this fragile woman’s every boundary-line. She folds and twists and pulls the scarf. She smiles, then frowns, laughs, then burns with rage, all in seconds. Griffith has manipulated us this way all along—compressing time by ignoring establishing scenes, making the woman’s life feel too rapid and urgent. Now, Gish herself contorts her childish character into someone suddenly, and unstably, adult. By the time her husband comes home, she’s dressed and packed. She passes him, steps out the front door and, in another remarkable piece of editing, steps immediately onto her mother’s porch. After a brief cut to the distraught husband, we see the wife back in her childhood home. I’m fairly certain the couple didn’t live next door to her mom; at least, we were never told they did. In any case, the scene reminds us—very literally—that we do not know where this woman has come from. Perhaps she doesn’t, either. The next major scene has Gish at home with her mother, holding a baby son who is at least four months old. Give that she did not look pregnant when she fled the marriage, this must be nearly a year after the breakup. Griffith then shows us how the husband has been coping, as he and Idle Woman enjoy drinks at the club. But love proves fleeting even there; they break up bitterly as she attracts (quite willingly) the attention of a new man, sitting in the very seat the husband occupied (not?) long ago. “The baby ill” reads the next intertitle. We see the wife place her son in a wooden crib in the foreground, obscuring him. The doctor arrives. Meanwhile, the rejected husband returns to his home to find a letter from his mother-in-law. He reads it and immediately leaves again. The husband arrives at his mother-in-law’s home. We aren’t sure if he’s ever set eyes on his son before this moment, and the wife, nearly manic, pushes him away. He leaves the house and sits on the porch. The baby dies. Gish’s response is rigid and bug-eyed; she pulls the doctor’s hand from her shoulder and marches into the garden. There she explodes; tearing her hair and smashing the rose bushes with a stick. When she returns, the husband is seated over the crib, holding the baby’s pacifier. Griffith shows an extreme closeup of his hand—meant to be the wife’s view, as well as ours—and we see the pacifier and his wedding ring side-by-side. The husband and wife embrace, in some mix of grief and relief, and the movie ends. There is a sense of finality to the way they hold each other in this moment, as though it is to be emblematic of their relationship in its final form. But have the husband and wife really restored their love? The truth is, had he not been dumped that very night, he would not have even returned in time to see his son’s last moments. And what precedes the wife’s embrace of him? A breakdown, modulated only by images of motherhood and marriage—the sole preoccupations of her life. I don’t see this as a reconciliation. I believe that tomorrow, they’ll be parted again. These people have sought comfort from one another because, in times of enormous pain, one must cling to something. It might be a person, or simply a just, but it’s usually familiar. What an uncompromising, and deeply human resolution this is, and how incredible that it concludes a movie so seemingly simple as this one. Thank you, I am so glad to know where to watch these silent films. I don't know what to do with you "comment as" box -- I'll just jump in and see where I land. If I understand your question right, you're asking why I praise this film the way I do? There's three big reasons. First, I find Gish's performance chilling throughout. Most of these early silent characters can only be observed, not really sympathized with. And then a few can be sympathized with. But it's a rare film from this period in which the main character causes you to sympathize AND THEN pull back. Gish may be playing an insane woman here, and she gets the credit for making me wonder. The second point is related to the first. This film is very of much of its time on the surface: a morality play. However, normal morality plays don't question the stability of their victims, and their endings are not usually as inconclusive as this one's is. That makes it interesting to me. Finally, Griffith's editing in this film is so bizarre that it disorients us in a fashion similar to the way Gish's character is disoriented. She cannot cope, and at times, neither can we. I can't say how much of this is intentional, but given what Griffith would produce in the next couple of years, I'm willing to give him the benefit of the doubt. No bother... the answer is I don't know. But I do know that both Griffith and Gish were perfectionists. Further, Griffith's short film, Corner In Wheat (also reviewed on this site) has much smoother editing, despite being four years older than The Mothering Heart. So I'm inclined to think the rough cuts in this film were on purpose. If you discover any record of the film's production, please let me know. And thanks for posting! I found the ending bizarre, definitive evidence of her insanity. I don't get any indication that it's a temporary reconciliation. I think you say that only because that would make sense. The alternative is more likely, they will reconcile and have another child as per Gish's now deeper seeded delusion and her husbands lack of moral character. 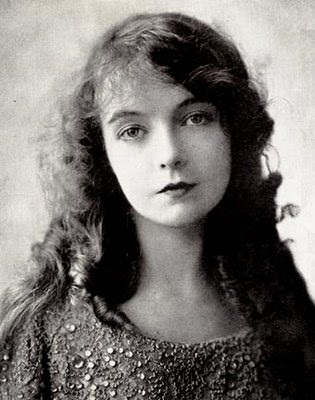 I could gaze upon Lillian Gish all day. A wonderful actress and a great beauty. That was a good analysis of a seemingly simple movie. Many present-day movies could benefit from some narrative compression like this. Thank you for sharing.